Death in the Clouds was first published this day in 1935…and reproduced in the year 5,000,000,000. 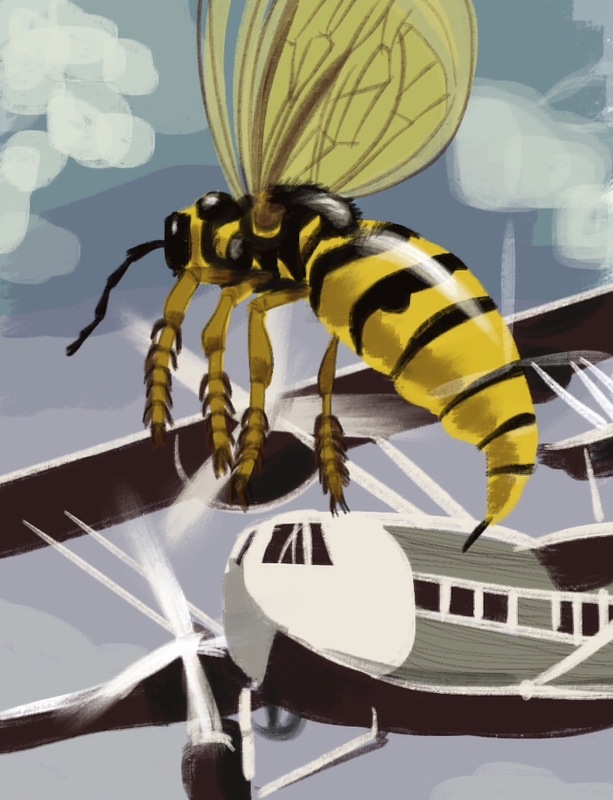 The paperback book jacket cover, a surrealist illustration by Tom Adams, depicts a giant wasp attacking a plane. In The Unicorn and the Wasp (2008) the Tenth Doctor (David Tennant) claims that the novel by Agatha Christie (Fenella Woolgar) was inspired by her encounter with the shape-shifting Vespiform that resulted in her disappearance in 1926. I am a freelance animator and story artist finding my way into the industry.